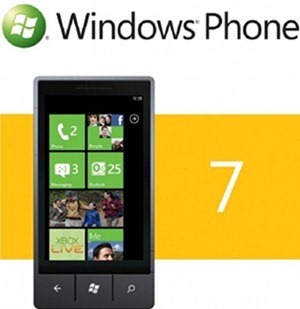 We reported that the next big update of Windows Phone 7, commonly known as ‘Mango’, could ship as early as September 1st. Now, the final build of Mango, which was allegedly finalized last month, has been unexpectedly leaked to the public and is now available for download. The just-leaked RTM build’s version number is 7.10.7720.68 and can indeed be downloaded by any current Windows Phone 7 user out there, whether they’re currently on NoDo or a previous build of Mango, although the latest version of the Zune client (4.8.2134.0) will be required. A forum post over at XDA-Developers contains the full installation instructions. This is still considered a developer release, which simply means that it will work on any Windows Phone 7 device without modifications, and in no way suggests that it’s another experimental build. In fact, the “Not For Resale” indicator on the bootscreen seems to be gone for good, yet another indicator that this is indeed a final release/build. Windows Phone Mango is the long wished-for major update for Windows Phone 7, aimed at building on the first-generation platform, which is expected to bring Microsoft’s smartphone division up to par with its main competitors, mainly Android and iOS. Enhancements found in this update range from additional social networking integration, such as the ability to ‘check in’ at places using Facebook Places, built-in voice-to-text and text-to-voice functionality, enhanced support for Microsoft’s own Bing ‘decision engine’, Zune SmartDJ support, an enhanced Camera application, among many other new features. Mango was officially announced and demoed fairly in-depth at a Microsoft event this past May and is set to be available at the end of the year, perhaps sooner, in line with several new Windows Phone 7 devices, although it’s expected to work perfectly on current ones. I’m sure all Windows Phone 7 enthusiasts will be all over this leak, but keep in mind that it might bring problems in the future, such as making future official releases impossible to install, although you might always be able to install them unofficially one way or the other. Yet, if you’re not familiar with how a Windows Phone 7 device operates, you should stay away from this update until it’s released officially for your device. Ready to make the transition? You can download the full ‘Mango’ files from here or here, whichever mirror works better for you. Happy updating!